First Anne Burrell, co-host of Worst Cooks in America, got sued for discrimination. 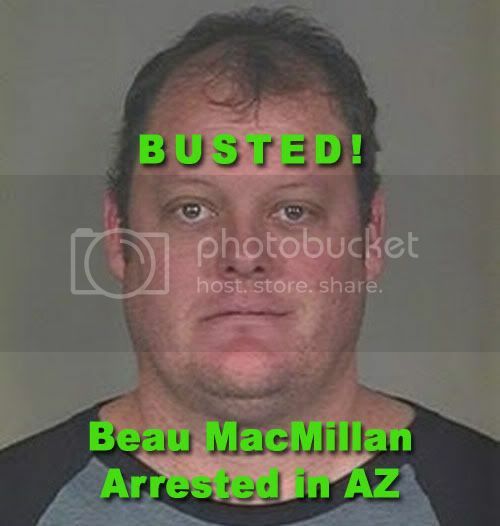 Now reports have come in that the other co-host, Beau MacMillan, was arrested in Scottsdale! The arrest was for something pretty boring (nothing like the accusations against Anne in the lawsuit mentioned above): failure to appear in court over a suspended license and some other minor charges. Still, Beau better watch it if he wants to come back for a second season! what a serious beau pas. unbeaulievable. this could be terribeau in regards to future seasons of worst cooks.